In the latest celebrity baby and celebrity couple news, Rachel Platten gave birth to her first child with Kevin Lazen on Saturday, January 26. Back in July, UsMagazine.com broke the news that Platten and Lazen were expecting their first little one. Platten later confirmed the news on Instagram. On the 30th, Platten posted a picture of herself and tiny Violet with the caption, “Introducing Violet Skye Lazan. Born delicious & cuddly on 1.26, early in the am. There is so much about this massive love that i want to share but don’t yet know how to. I am sure the words will come soon. For now we are busy falling deeeeply in love (and keeping our heads above water). Thank YOU all so much for your kindness and support and curiosity and gentleness as i fumbled my way through this crazy brutal amazing journey to get here to motherhood. Wow. I’m a mom. :))) Xoxo, rach” Best of luck to the new parents! 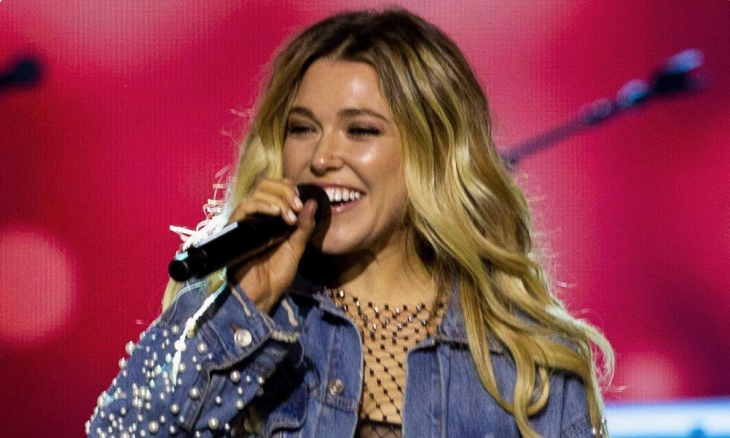 In celebrity baby news, Rachel Platten is a first-time mother. What are some ways to prepare your relationship for a first child? 1. Talk about parenting philosophies: If your Mom raised you and your brothers by herself, but your spouse had a full family with both parents growing up, you both will look at parenting a bit differently. Having a conversation now about how you think you should raise your baby together will help negate any arguments down the road. 2. Accept the reality: You’re going to be parents. Accept this now, and realize there will be sleepless nights. Grandparents will try to intervene to help. Should you consider breast or bottle feeding? Are you going to co-sleep with the baby in your bedroom? You may even bicker about those things. Being prepared now for the lows as a new parent will make the highs even better. Related Link: Celebrity Baby: Carrie Underwood Welcomes Second Son! 3. Don’t push romance aside: All the both of you are going to be able to talk about is the baby — how excited you are, your hopes and dreams, and your fears. A newborn in the home can make it easy to put aside your relationship, but don’t let it happen. Spending as much time as you can together now, and later between feedings and nap time, will help ensure your relationship stays strong. What are some other ways you can prepare your relationship for a first child? Share your thoughts below.